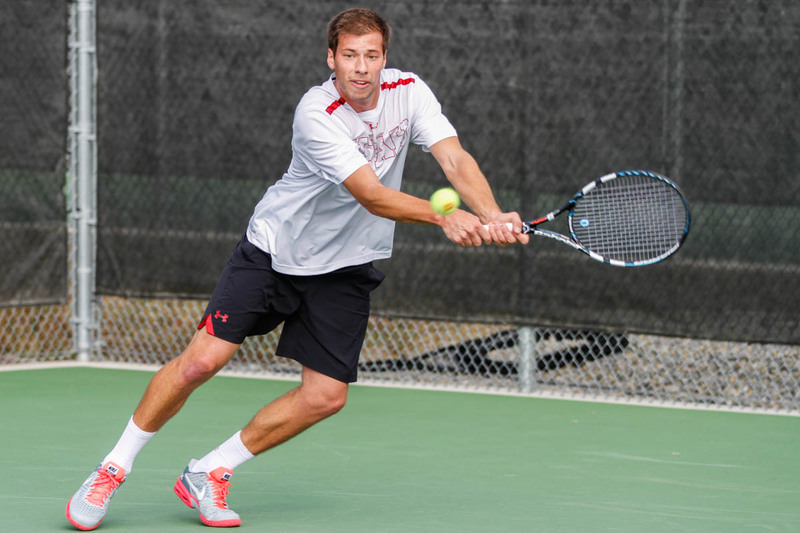 Salt Lake City – The University of Utah men’s tennis team (12-4, 0-1) fell to Stanford(7-2, 1-0) on Saturday, 3-4. The Utes narrowly lost the doubles point and fought hard in singles, but just fell short of defeating the Cardinal. Stanford barely took the doubles point from Utah after winning two out of three tiebreak doubles matches. Slim Hamza then fell to John Morrissey at the #1 position, 6-1, 6-4. Senior captain Alejandro Medinilla scored the first point of the day for the Utes after winning 6-2, 6-4 over Daniel Ho at the #3 position. Trey Sobel of Stanford squeaked past Cedric Willems at the #4 position 6-4, 7-6(5). Senior Devin Lane added another point to the Ute’s tally, defeating Anthony Tsodikov 7-6(5), 7-5. Stineman clinched the match for Stanford after beating Matt Cowley 7-5, 6-3 and Senior Ben Tasevac closed the day of play at the #2 position, defeating #55 Maciek Romanowicz 6-1, 3-6, 6-4. The Utes will be back in action on Sunday, March 30th as they will face #16 California at home. The match will be played at the Eccles Tennis Center with the first serve at 11 am MT. This entry was posted in Schedule/Results and tagged Alejandro Medinilla, Ben Tasevac, Cedric Willems, Devin Lane, FD Robbins, Matt Cowley, Pac-12, Roeland Brateanu, Slim Hamza, Stanford, Utah Utes. Bookmark the permalink.